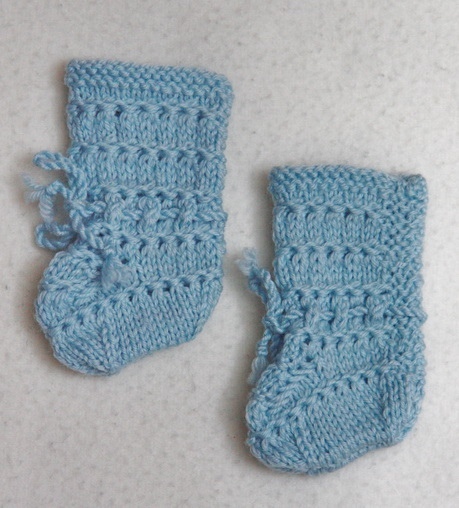 I have knitted the blue socks in a herringbone stitch, the pink socks are knitted with moss stitch, beige socks are knitted with moss stitch and has buttons along the side, and the light blue socks has a pattern. 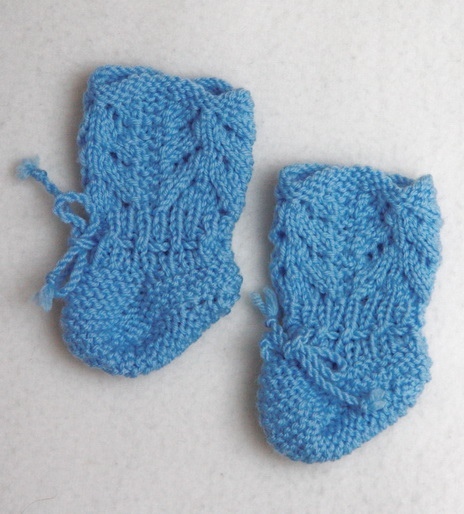 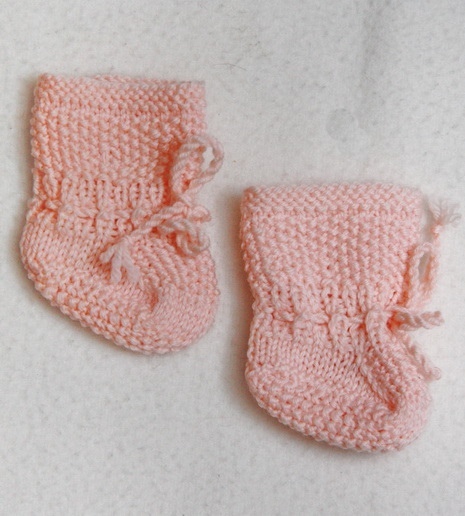 The socks I have knitted are long-legged and fit the dolls feet very well. 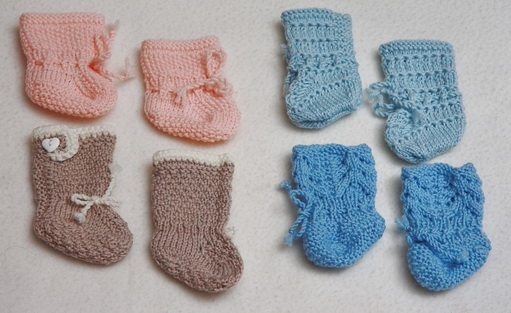 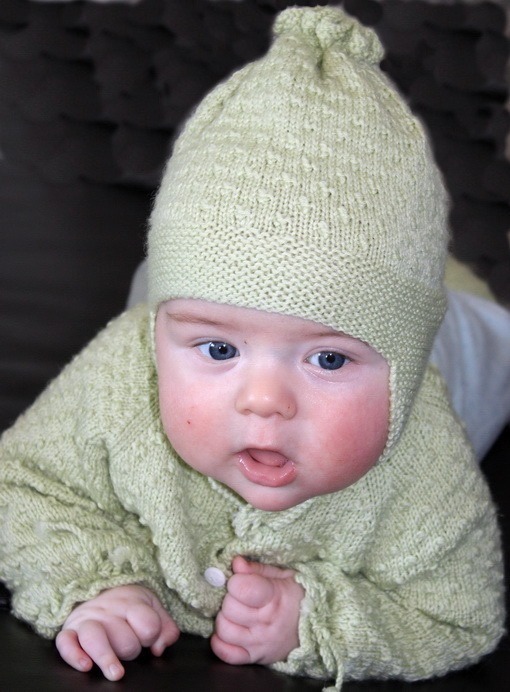 They are all knitted in thin merino wool. 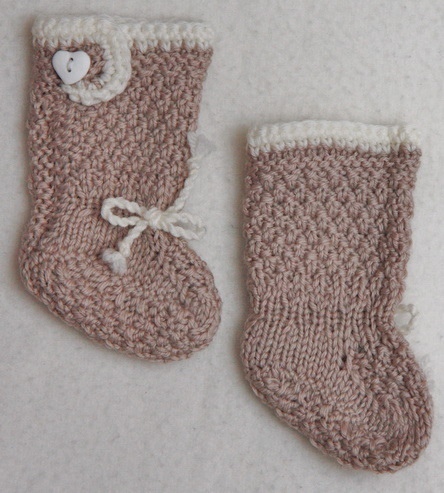 Therefore they are soft and warm and I think they are looking very nice as well.